There are few places where my boyfriend and I agree to never return to and Ikea is one of them. I once heard on a TV show that Ikea is where relationships go to die. And if that’s true, the Ikea food court is where relationships go to make amends over Swedish Meatballs. 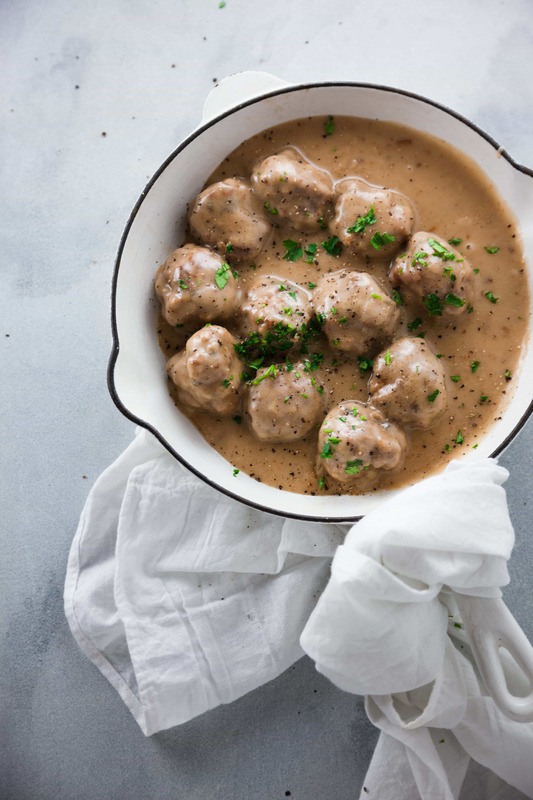 Furniture shopping stress aside, swedish meatballs are the real reason any of us go to Ikea and fortunately with this recipe you can make them at home and skip the shopping all together. Personally I’m just not an egg noodle fan which is why I served my Swedish Meatballs with mashed potatoes. This is all of course down to personal preference. Most recipes will call for serving the meatballs with either egg noodles or mashed potatoes. However as I can personally attest to, these meatballs are great on their own as well (aka I ran out of potatoes for my leftovers). 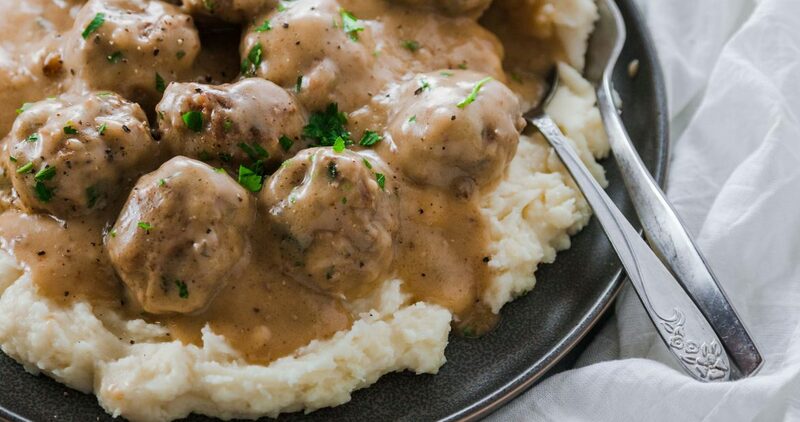 The gravy for swedish meatballs is surprisingly easy to make. After making the meatballs, reserve the pan drippings. Add flour to create a roux and cook until flour is no longer raw. Whisk in beef stock, then season to taste with salt, pepper and a dash of nutmeg. Then let simmer until the gravy has thickened to the perfect consistency. What pan should you use to make meatballs? I experimented with several different pans when making these meatballs. I used my cast iron, my stainless steel and a nonstick pan. Overall the nonstick pan was the easiest to make meatballs in but the cast iron created the best gravy. What made cooking the meatballs in the cast iron a bit difficult was that they obviously stuck to the pan a bit more and required more oil for cooking. But i think the pan that can be ruled out almost completely was my stainless steel skillet. The amount of oil needed almost made the meatballs taste deep fried. Let me know what your preference is! Remember to save this recipe and pin it for later. Got questions? 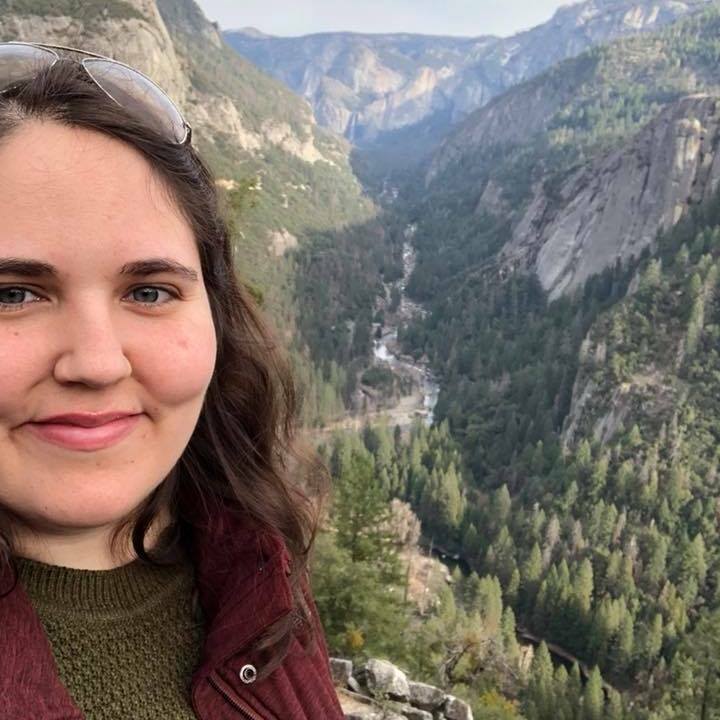 Have feedback? Let me know in the comments section below! 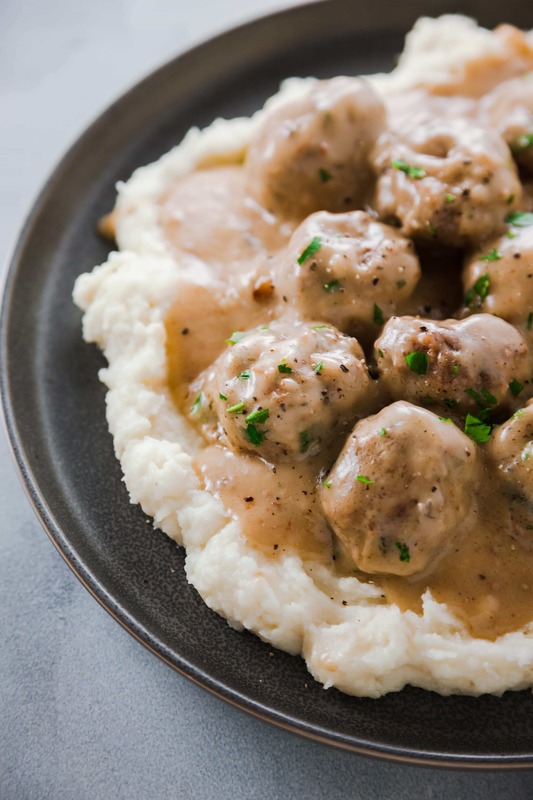 Make this Ikea classic at home with this Swedish Meatballs recipe. You'll never have to go furniture shopping again! Combine all meatball ingredients in a large bowl and mix until fully incorporated. 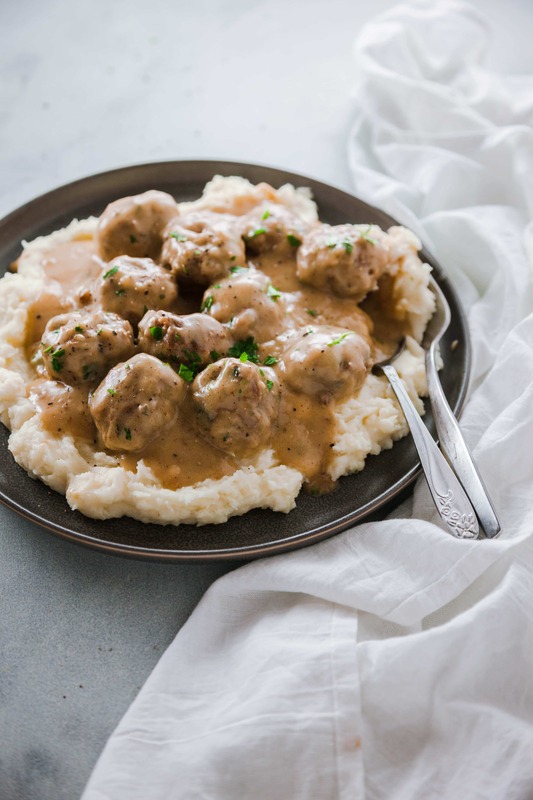 Using a spoon, portion and form meatballs. Each meatball should be about 1 inch in diameter. Heat a nonstick skillet or cast iron on medium-high heat. Add 2 tbsp of vegetable oil and cook meatballs in batches. Rotate meatballs and cook until all sides are evenly browned. Remove from pan. Reduce heat to medium. Add flour to pan and add butter if there's not enough oil from the drippings. Cook for a few minutes so that flour is no longer raw. Whisk in beef broth and add seasonings. Slowly mix in the heavy cream, then season to taste with salt and pepper. Bring gravy to a simmer and cook until thickened. Serve meatballs with mashed potatoes or egg noodles and top with gravy. Enjoy! 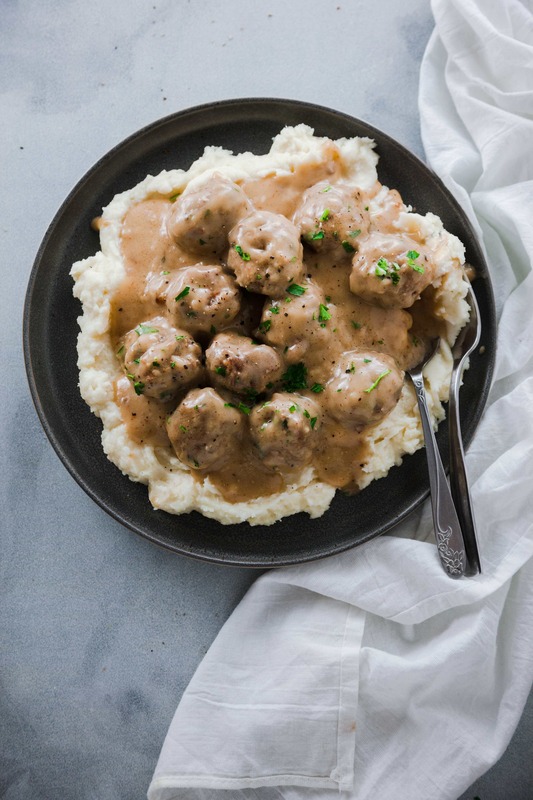 Love seeing Swedish meatballs around the internet! 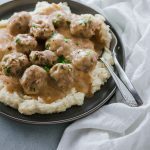 As a Swede I would never even consider serving them with noodles (we reserve that for kids and the boring storebought meatballs 😉 ) – with mashed potatoes they’re delicious but the traditional way is really cooked potatoes. Preferably with some lingon berry jam on the side! Love the look of your recipe!